Minimum quantity for "CHROME GODDESS HOOD ORNAMENT AMBER" is 1. 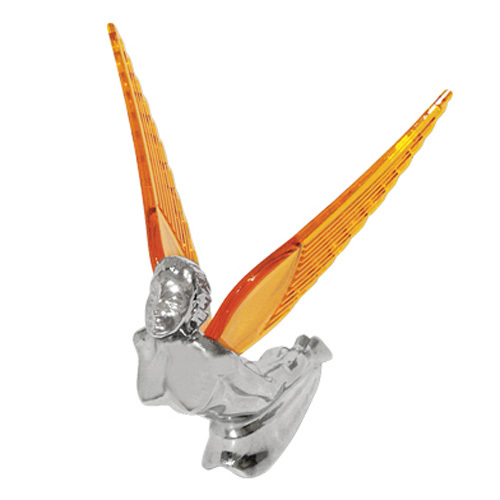 CHROME FLYING GODDESS HOOD ORNAMENT WITH ILLUMINATED AMBER WINGS. 200MM LONG X 230MM HIGH.